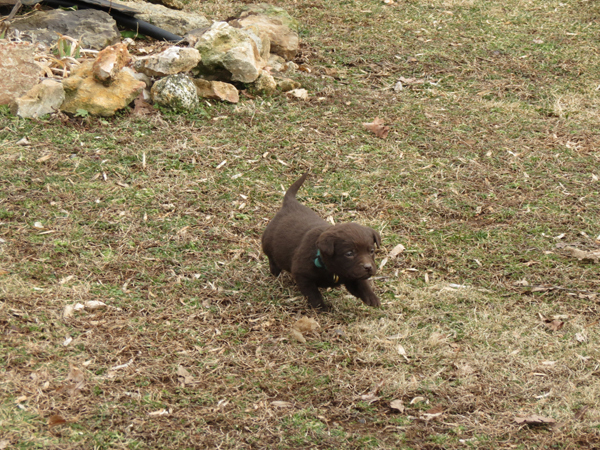 The puppies are all doing well and growing quickly. 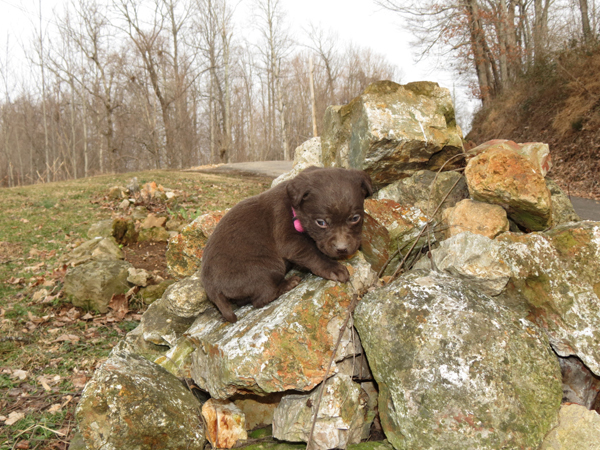 It was so cold today that my sister wasn’t able to take as many pictures as usual but at least we have a few of each puppy! 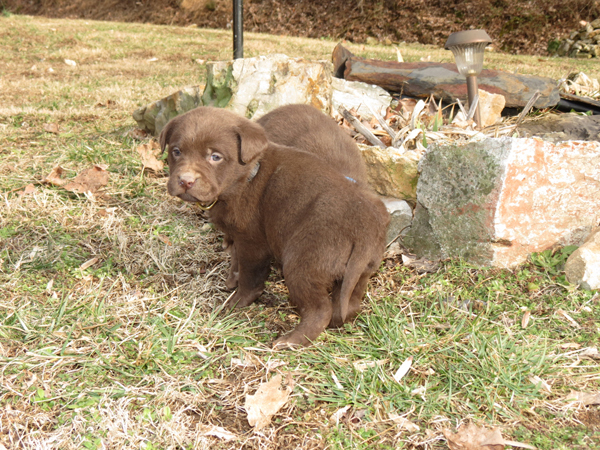 I’ll post the girls’ pictures first … out of these first four, one is reserved but not picked yet. 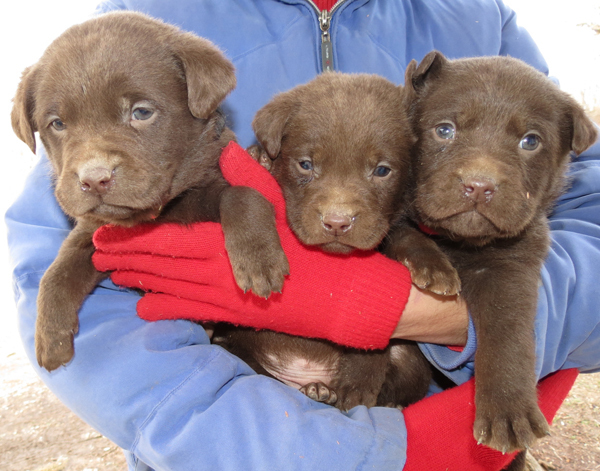 The other three are still available so if you are interested in one, please contact me for details. 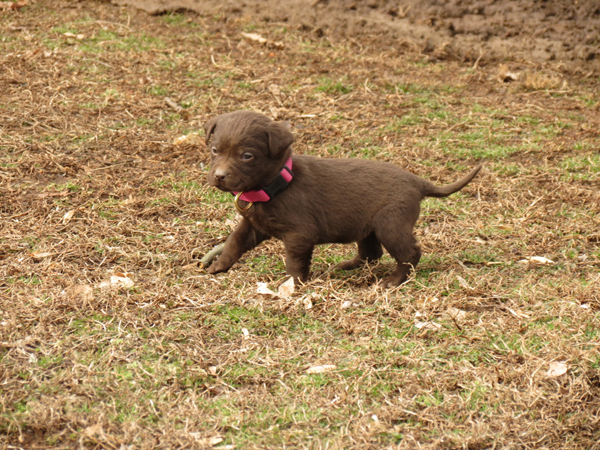 She’s the largest of the girls. 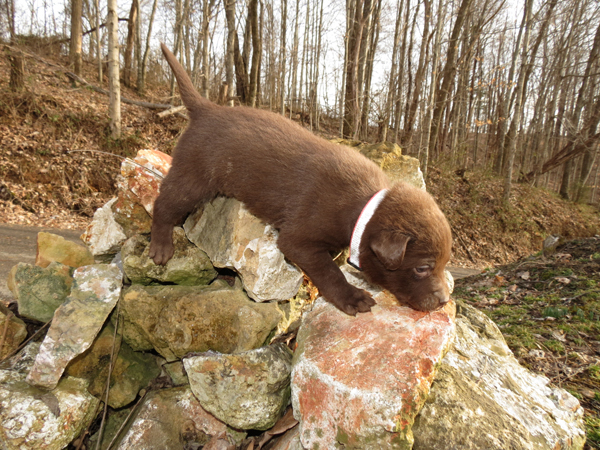 She’s definitely the “go getter” of the girls! 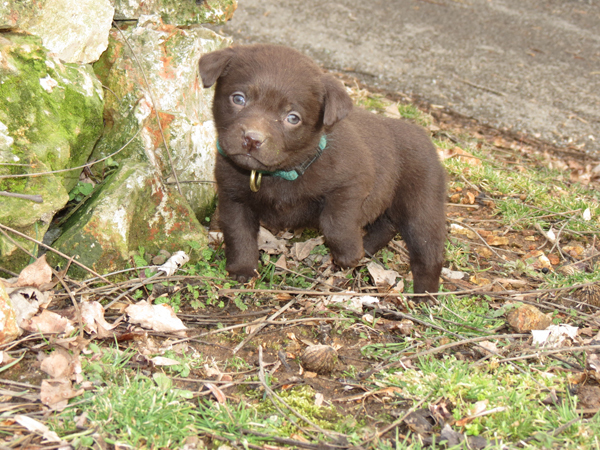 May is the baby of the bunch. 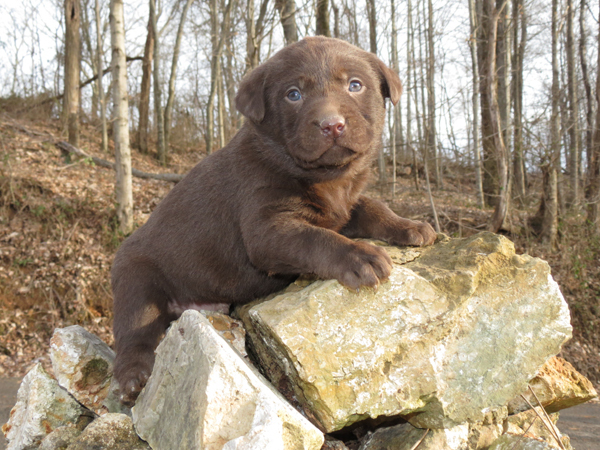 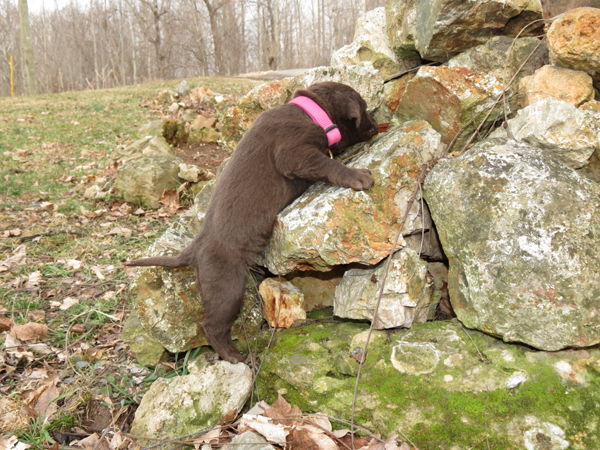 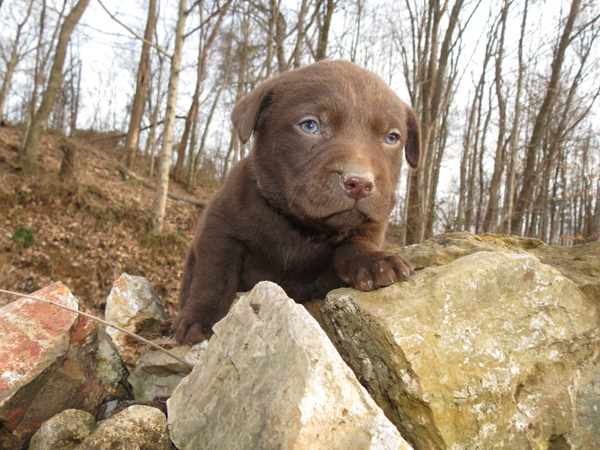 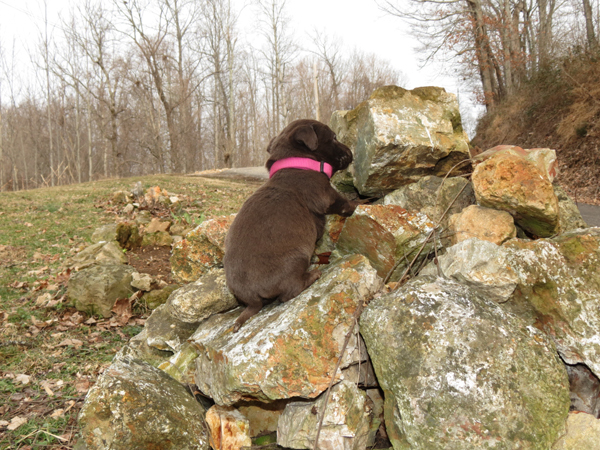 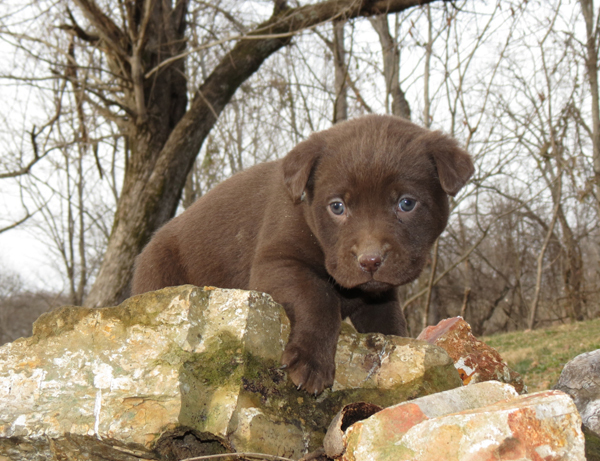 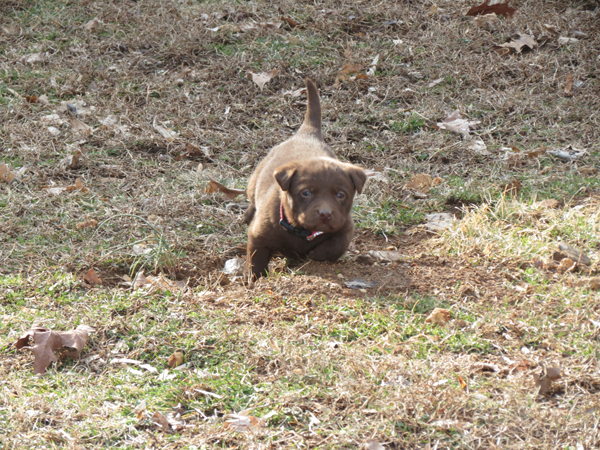 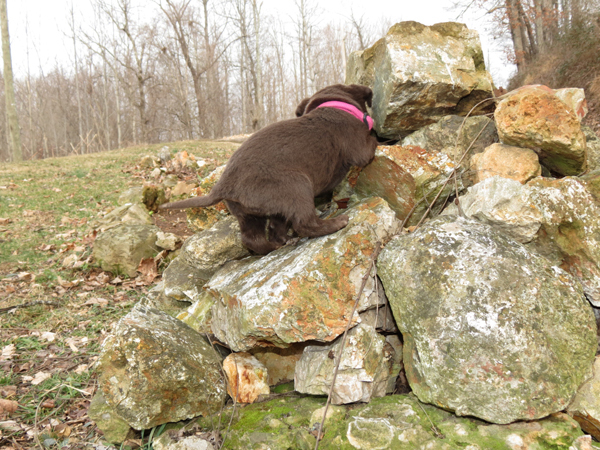 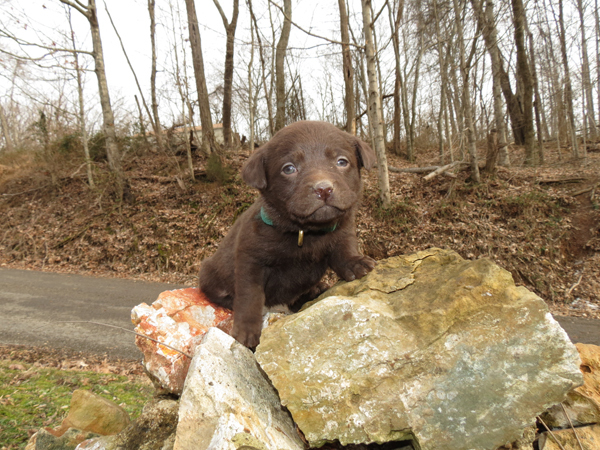 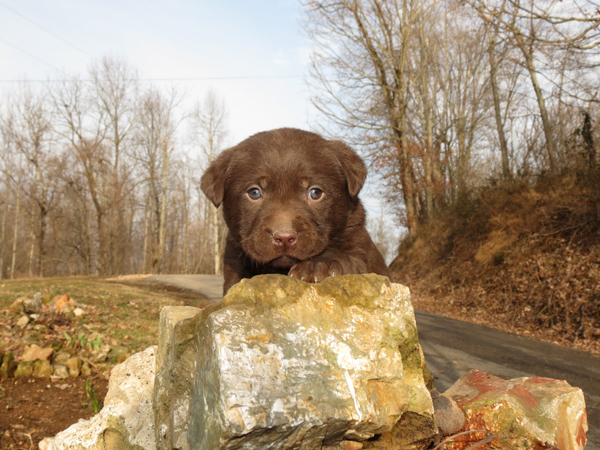 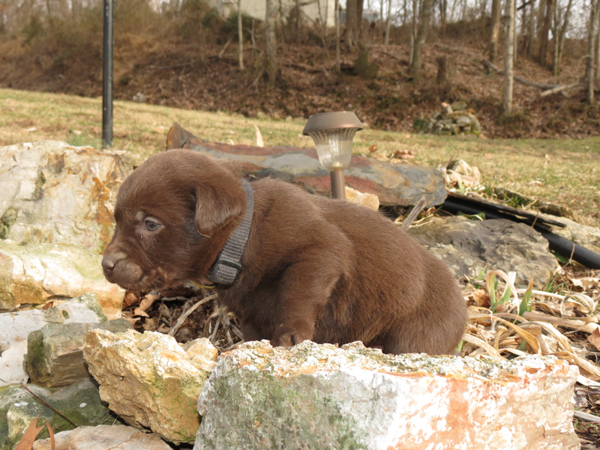 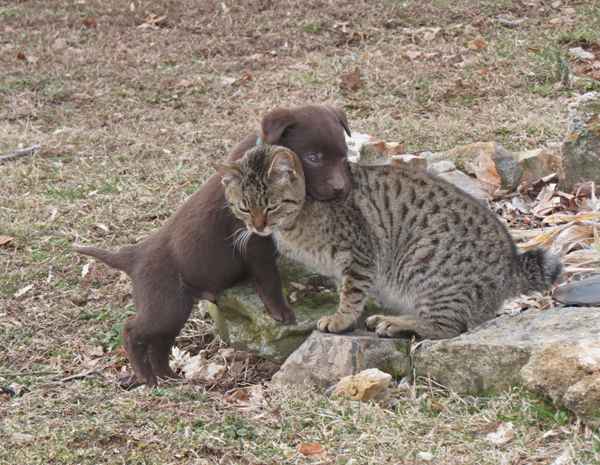 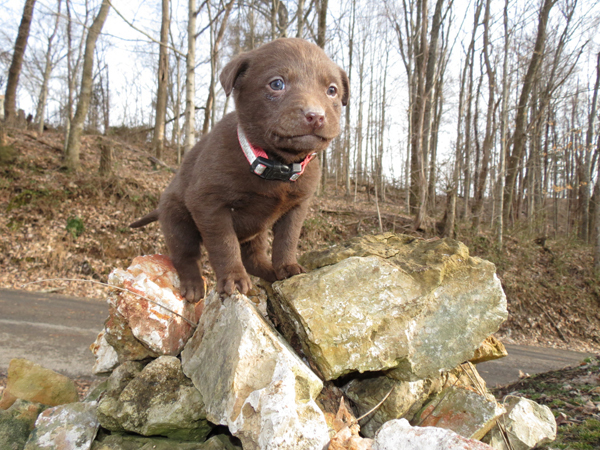 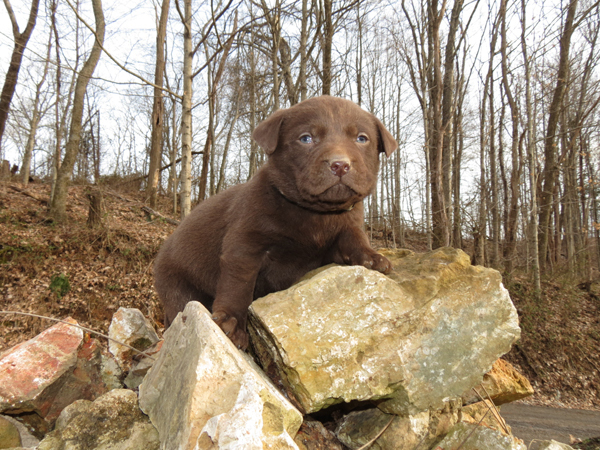 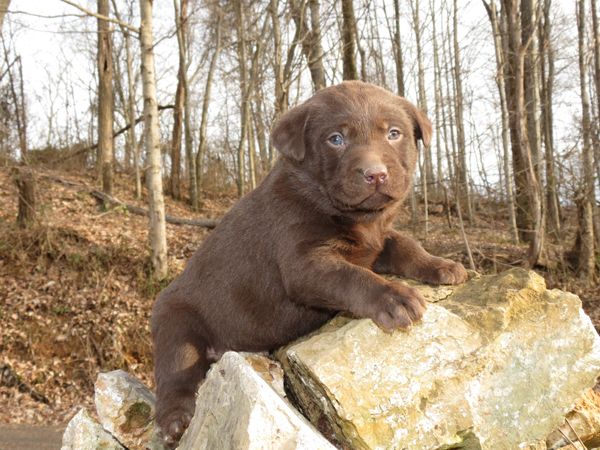 Ruthie said she was more intrigued by the rock pile than any of the other puppies and decided to climb! 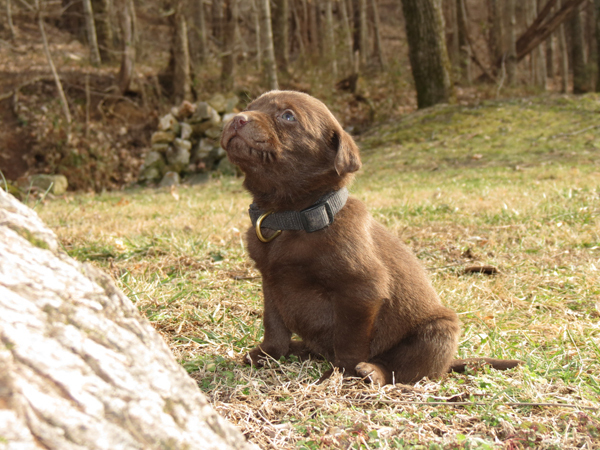 This is June. 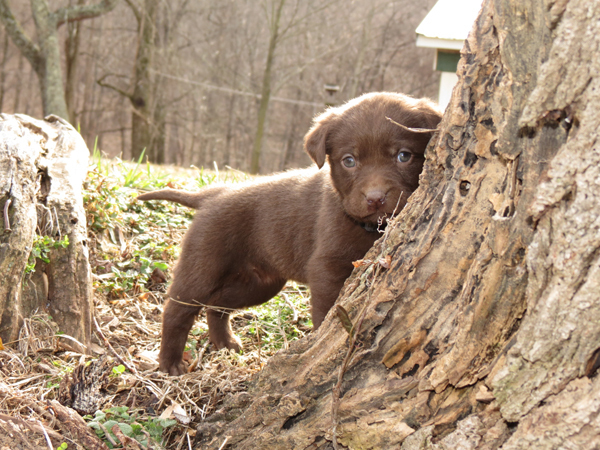 I really like her face! 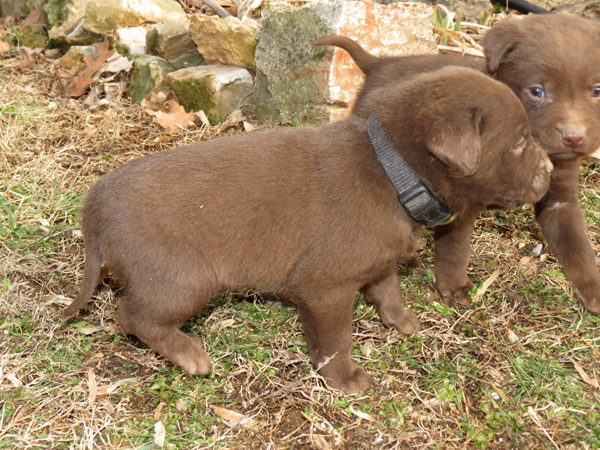 Now for the boys – all of them are reserved. 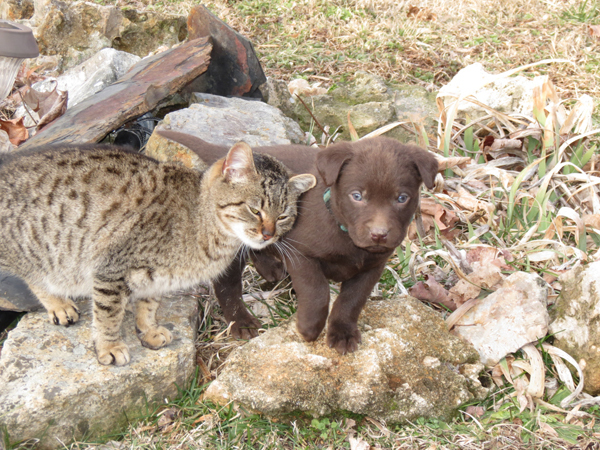 Left to right: December, September, November. 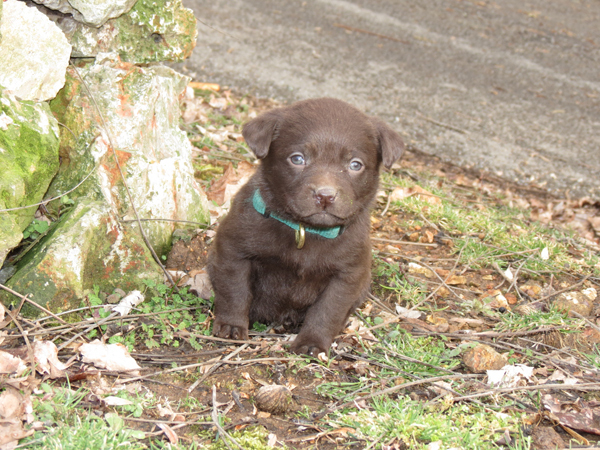 He’s the largest in the litter! 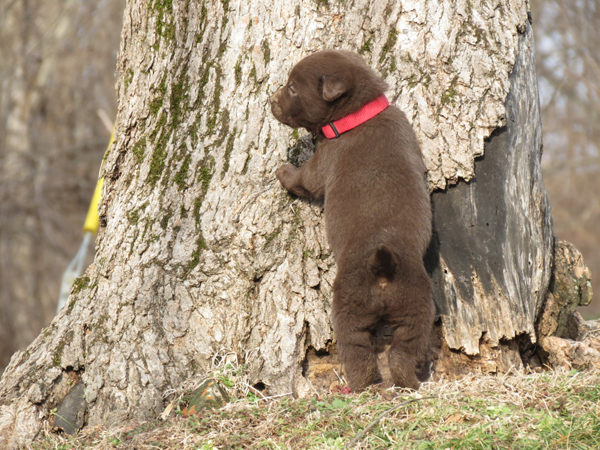 Trying to climb the tree! 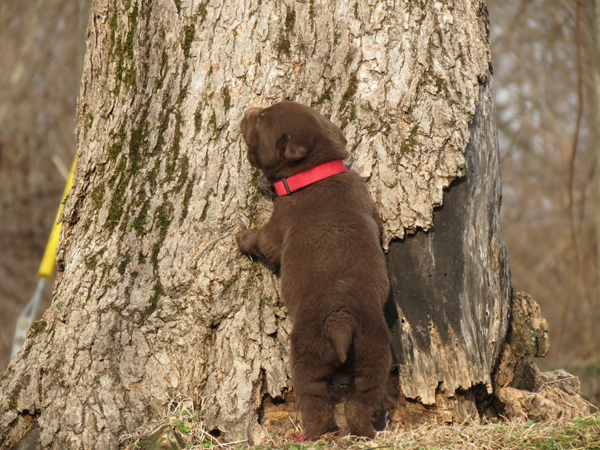 He was howling in this one! 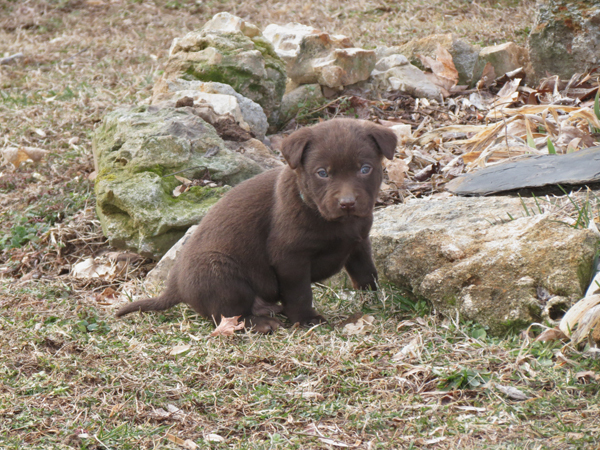 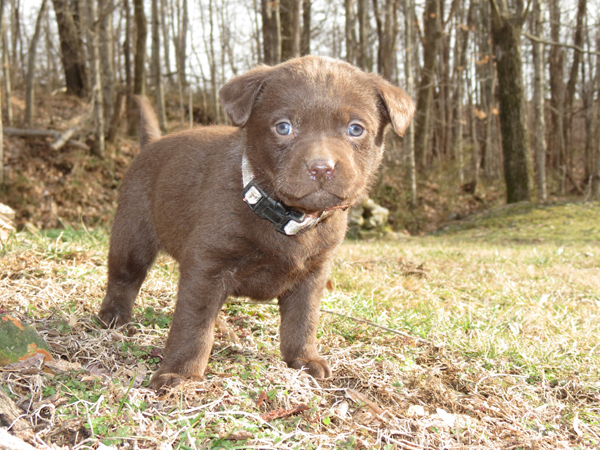 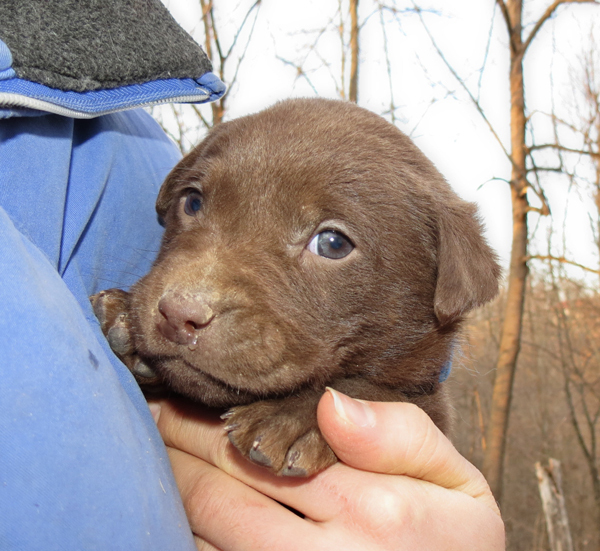 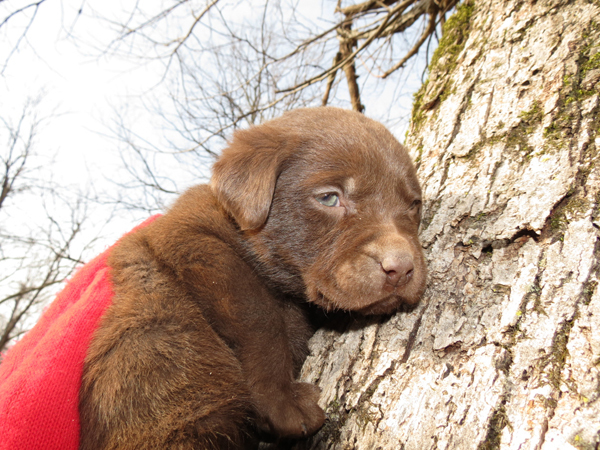 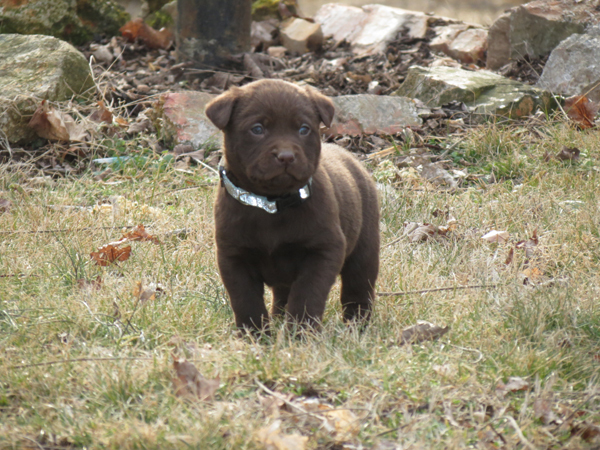 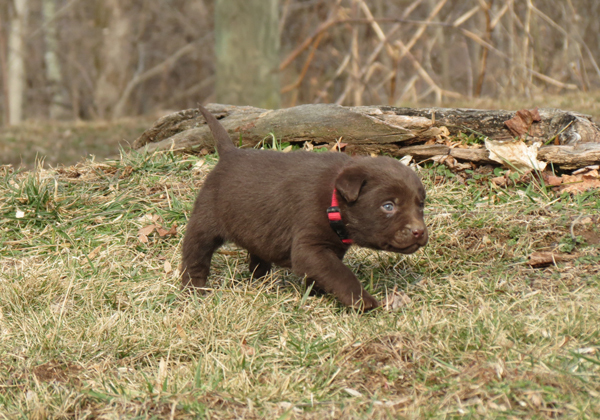 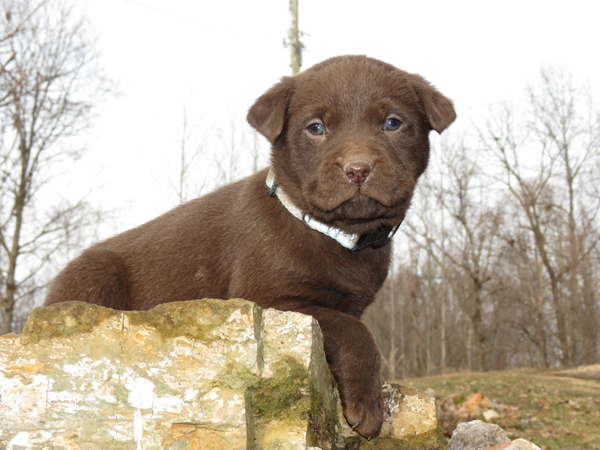 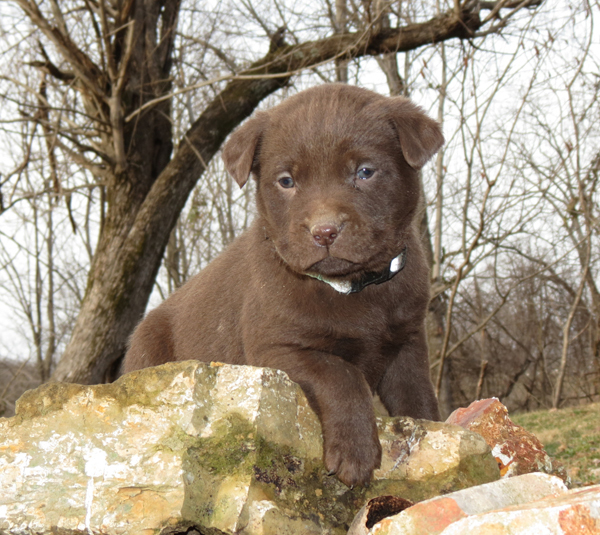 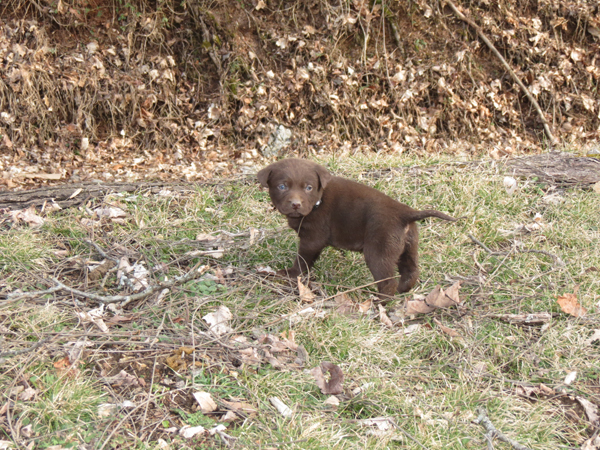 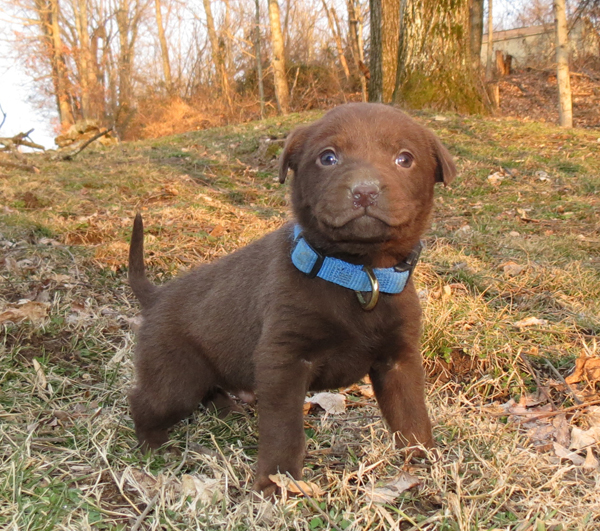 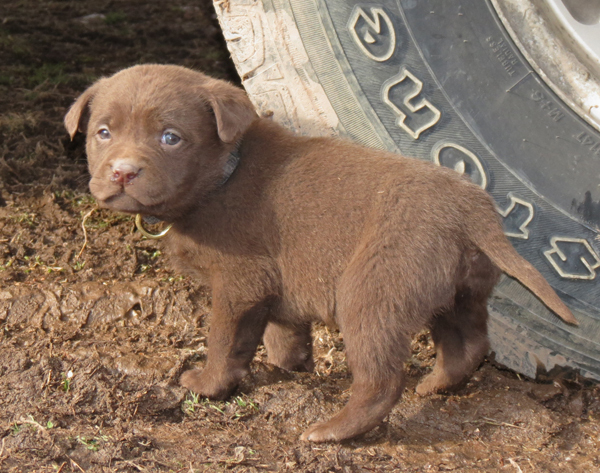 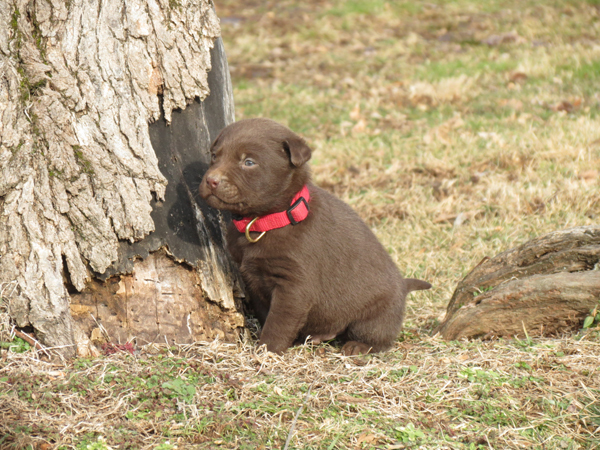 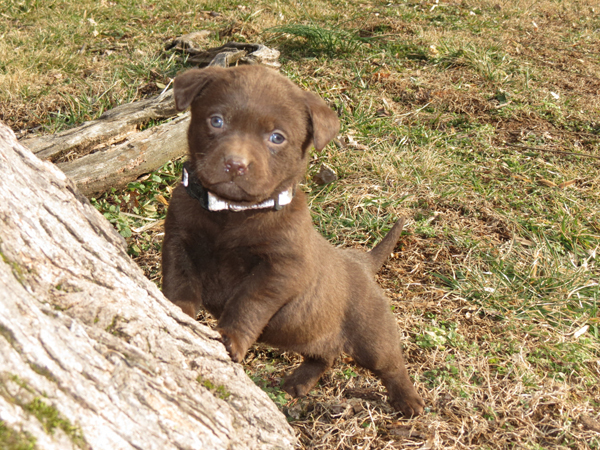 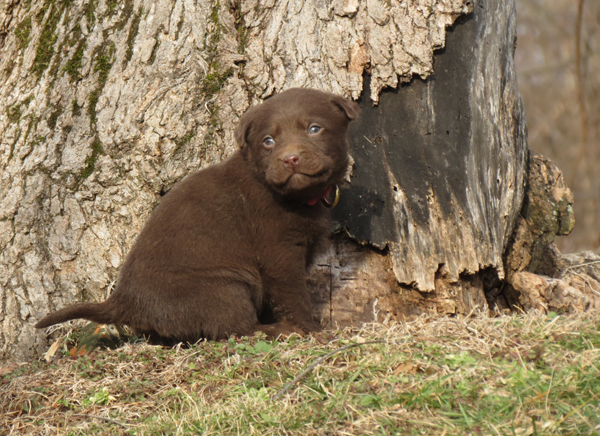 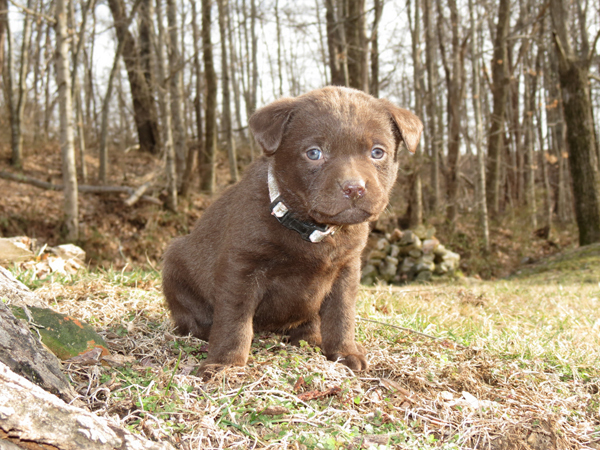 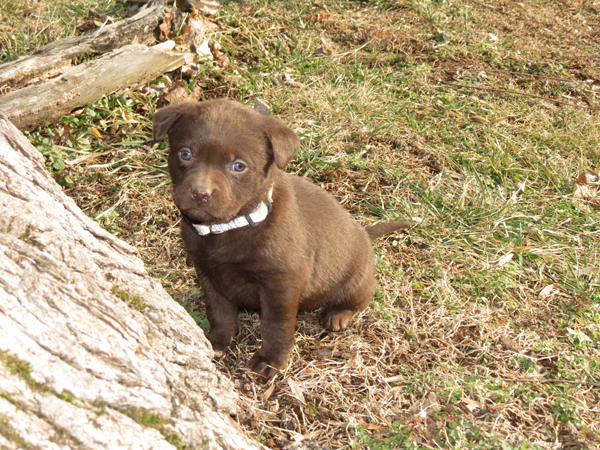 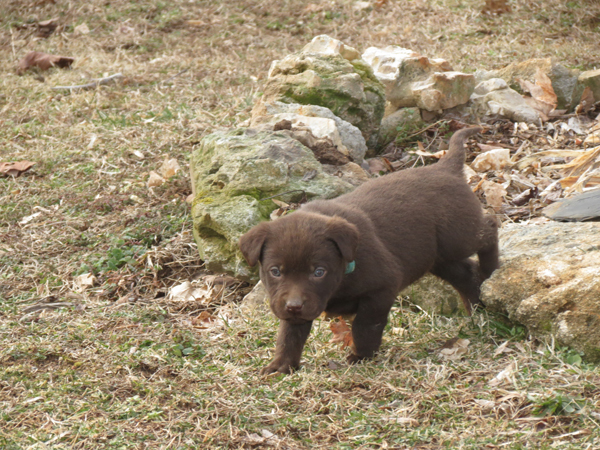 And last but not least, this is December – probably the least photogenic out of all the puppies! 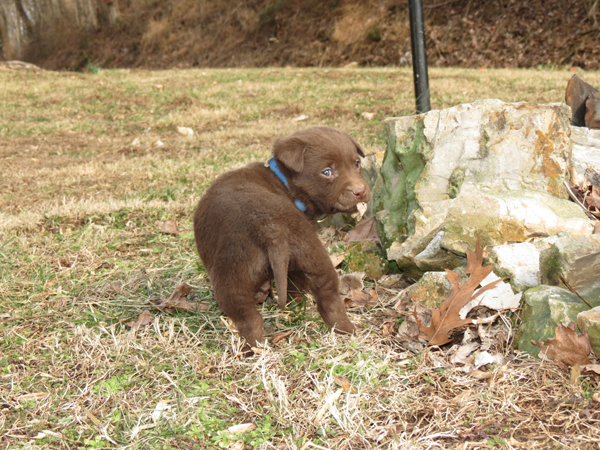 He has a very sweet personality though!